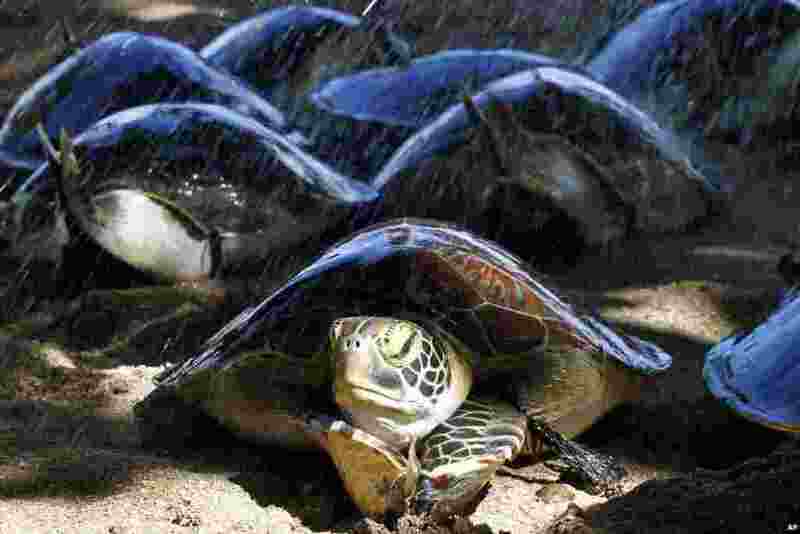 1 Sea turtles crawl before being returned to the ocean on a beach in Bali, Indonesia. Bali police released about a dozen turtles seized last month from illegal poachers. 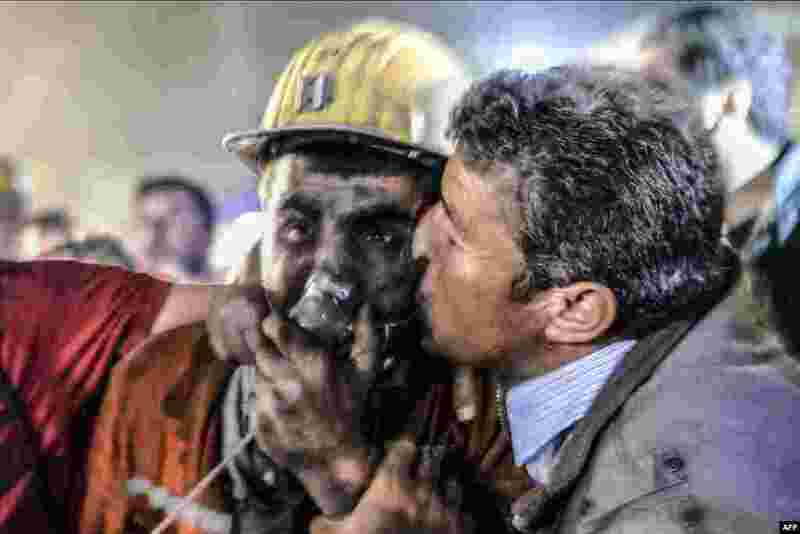 2 A man kisses his son, rescued from the mine, after an explosion in a coal mine in Manisa, Turkey. 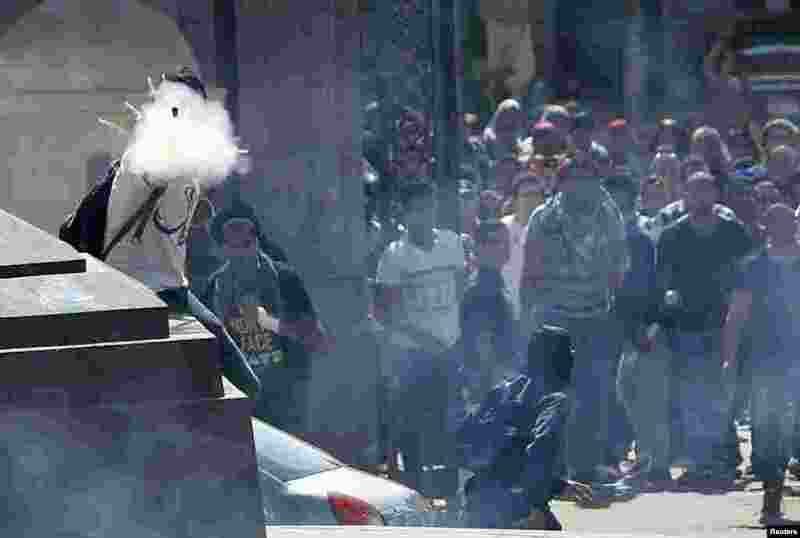 3 Supporters of the Muslim Brotherhood and ousted President Mohamed Morsi set off fireworks during clashes with riot police outside Cairo University, Eygpt. 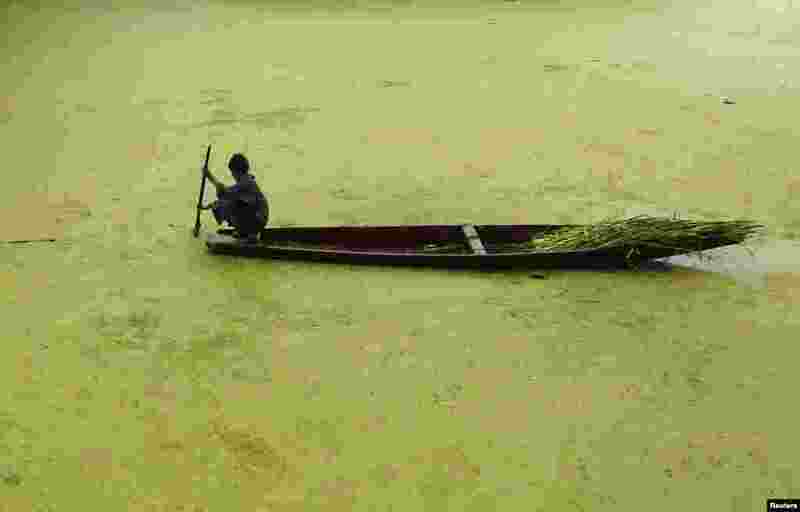 4 A boy paddles his boat along the weed-covered Anchar Lake in Srinagar, India.